SKU: CO5924. Listed in: Costumes, Costumes Kids, Girl, Halloween. 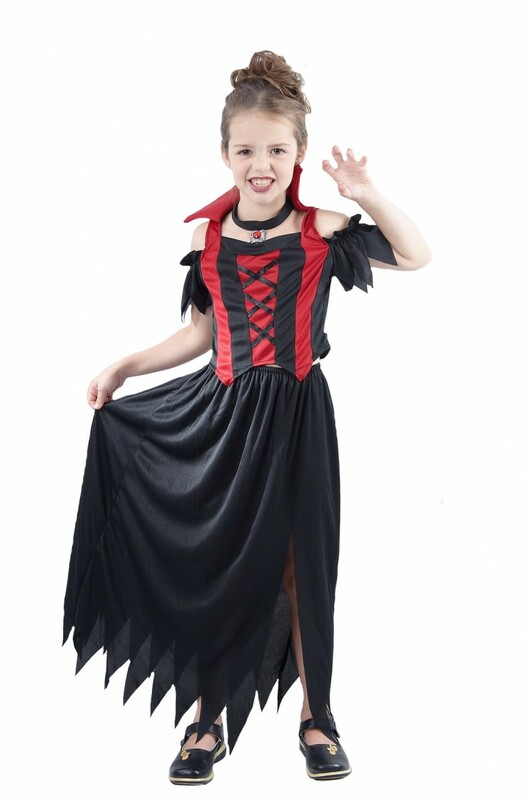 Tags: Child, costume, girl, Vampire. Vamprie girl costume. Includeds bodice with attched collar, skirt and choker.